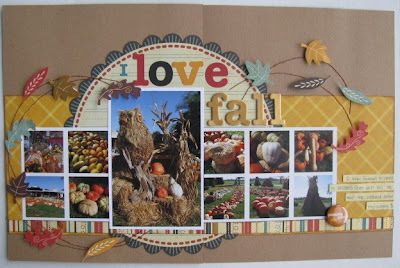 I just found out that my "I love fall" layout that I lifted from Allison Davis' blog was included in this week's Gallery Highlights over at Creating Keepsakes. You can check out their blog post here. I love your lift! I saw the same sketch and put together a layout for the puttin' on the glitz challenge- I have to upload it sometime this week! CONGRATS, Amy! That is VERY exciting! !